​Are Potatoes High In Lectins? ​Should You Avoid Other Lectin Foods Too? Sweet potatoes and yams, however, while appearing similar, are not actually nightshades and are ​ great options on a ​low lectin diet. ​There are some vegetables that contain ​lectins and potatoes are just one of these. Potatoes form part of the nightshade family of vegetables all of which contain what is considered to be high amounts of lectins. Yams and sweet potatoes ​are great alternatives to potatoes as a lectin-free diet option. ​Each person responds differently to the specific foods that contain lectins and while one person may have a reaction, another may not. 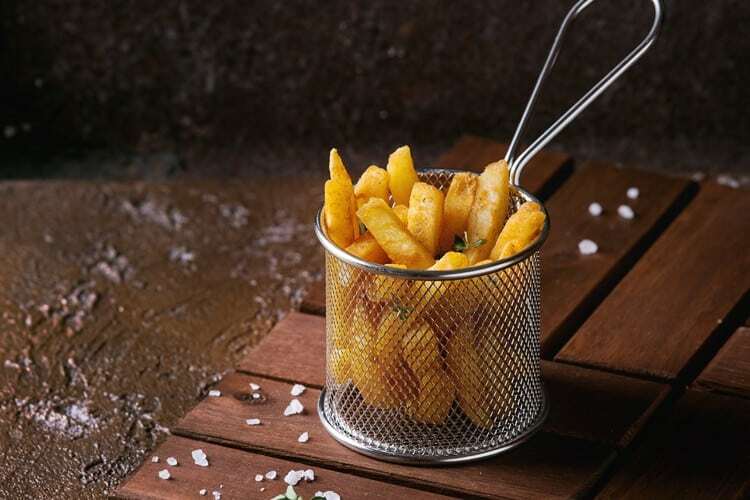 If any of the symptoms related to ​lectin sensitivity are present or you feel worse after eating potatoes, it is recommended to replace them with an alternative or avoid eating them altogether. While rice does have lectins, certain types of rice are lower in lectins than others, which you can see more about ​on the ​does rice have lectins page. It is therefore not so much a question do potatoes have lectins as what can be done to reduce the amount of lectins. ​Steps like peeling potatoes before cooking can also reduce the lectins found in vegetables​. Pesticides are also found mostly in the skins of vegetables, although they can get into the flesh of the potato and other foods such as fruits and vegetables as well. This is just one additional reason you may wish to remove the skin from your vegetables, ​but of course, there are nutrients in the skins as well. You can also buy organic potatoes. Some foods are genetically engineered to be higher in lectin count, as lectins act as a natural pesticide. If you'd like to reduce lectins in your diet, eating organic, especially for foods high in lectins ​can be a good idea. Eating organic can ​be also beneficial with regards to pesticides. Both GMO and organic foods do still use pesticides, however the idea is that pesticides used for organic foods such as potatoes are less toxic. Pressure cooking has been shown to be more effective at reducing lectins in foods, so may be a viable choice if you are choosing to cook potatoes. ​Soaking has also been shown to reduce lectins and other anti-nutrients in foods, so it may help to reduce lectins in potatoes. This is because many anti-nutrients are water-soluble. The soaking process can take many hours, for example, 6 hours before cooking. Soaking past 6 hours can further reduce the amount, although ​over time it can ​start to get diminishing returns. You can, for example, choose to soak foods for 24 hours before cooking. Those that are very committed to eating less lectins but also eating potatoes may choose to use multiple of these approaches: peeling and soaking the organic potatoes, then cooking them in a pressure cooker. ​You can also check out more about how I increased tolerance to lectin foods ​by joining our powerful insider's list when you click the button below. It may also be helpful to reduce the amount of potatoes that are eaten in one sitting or overall. The less you eat, the less likely you are to have a reaction to the lectins in potatoes. So if you don't feel well after consuming potatoes, it is probably best to avoid them. ​The lectin in potatoes is ​inhibited in its agglutination reaction by N-acetyl glucosamine. For this reason, it's possible to supplement N-acetyl glucosamine before a meal to potentially reduce the effects of lectins​. The main issues with this are that ​there is not a lot of specificity with regards to exactly how much would be needed, how soon prior to the meal, and ​the range of effectiveness. If you are sensitive to certain foods, you ​will probably benefit greatly from a low lectin diet. ​The benefits of avoiding lectin foods that specifically cause you issues are very high, and can help to increase your energy, reduce your inflammation, and overall help to make you feel much better. ​​​Just because you have a response to the lectins contained in potatoes does not necessarily mean that you will have the same response to other foods that contain lectins​. ​For more info on how to figure out which foods to avoid, check out our free guide​. © Copyright 2019 - LectinFoodsBase.com - All Rights Reserved. Your results will vary. Testimonials and examples used are exceptional results and are not intended to guarantee, promise, represent and/or assure that anyone will achieve the same or similar results. By reading this, you agree to all of the following: You understand this to be an expression of opinions, general information, and not professional advice. You are solely responsible for the use of any content and hold lectinfoodsbase.com and all members and affiliates harmless in any event or claim. The information presented is not intended as a substitute for medical treatment or medical advice. You may wish to consult with a health professional before making any lifestyle change. You, as a reader of this website, are totally and completely responsible for your own health and healthcare.